The safety issues associated with the lifting, handling, manipulating of the large heavy bags. Containment issues associated with the opening and closing of the bags so that the operator and surrounding environment are protected from dust and exposure to the product. How to best induce and control flow of the product out of the bag. How to best transfer the product from the bag into your process. How to best weigh the product being batched into your downstream process. IEDCO designs and manufactures a complete family of bulk bag loaders and unloaders to meet your application specific needs. Systems may be supplied with integral hoists, load cells, bag agitation, various discharging valves and incorporate a range of feeding capability. We develop a wide range of bulk bag unloader systems to meet the specific challenges of any given application. 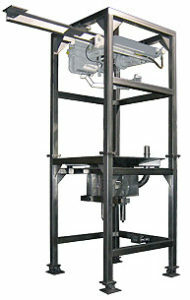 Our bulk bag unloader systems are designed to handle all types and sizes of bulk bags. If you are a bulk powder producer, chances are many of your final products are sold in economical bulk bags (big bags, super sacks, FIBCs). 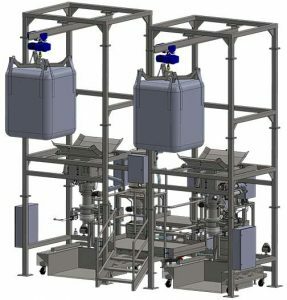 IEDCO’s bulk bag filler systems run the gamut from a simple bag loading frame and fill-head to an automated fill system that allows for accurate gain-in-weight batching. Our bulk bag filler systems are designed for contained filling and batching of dry powder materials from a process to a bulk bag. 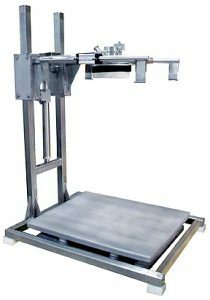 The bulk bag filler support frame can be designed to a specific height or it can be adjustable to serve a variety of bulk bag sizes.